Some small element in the sounds of the song ‘Ageless’, which is almost too tiny to acknowledge, catches my attention and reminds me of the song ‘Our Darkness’ by Anne Clark. Otherwise, I am quite confused as to what I am listening to. At some points, I am pretty sure it’s a lighthearted, light bearing album that follows the trail of Akron Family (Especially in their brilliant song ‘Ed is a portal’), while at other parts I am thinking about more somber singers with painful lyrics. Then again, other electronic sounding moments are more elaborated and opens new dimensions to my, so it seems, prejudice impression. I don’t know much about this band, their text, describing who they are, is in Spanish, and all I have is these twelve songs. However, I am not intimidated at all by this threatening lack of knowledge, and as I listen to the songs, I gather my information from the image I draw for myself as I face the Visions from Oniria. You can set the different songs in this album into three different groups. 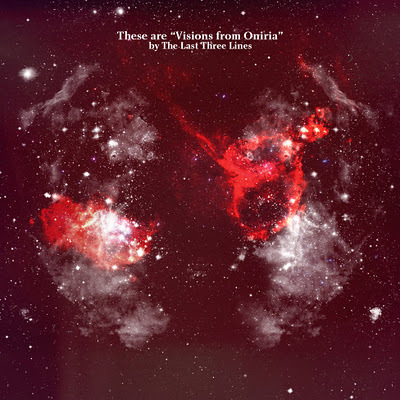 The main song, ‘Visions from Oniria’, sits on top of the list of painful, even dramatic songs. These songs are very well played and thought of, yet I find other parts of the album more valuable. Those who find this group that I have just created out of thin air appealing, ‘Trails of Breadcrumbs’ is an even better song to listen to. Me? I like ‘Paradigm of Fools’, which might sound a little out of date, as if it evens matter, but inside it are much more interesting moments, like the almost sleazy synth line and nice singing. This group is obviously darker and less descriptive in its essence. ‘Revelation’ is another nice song from this group. ‘Andromeda’ and ‘Ageless’ are more special, holding some sort of a nostalgic quality to them, carrying the listeners to different directions. These twelve visions create a well built album with nice pearls for fans of energetic rock to pick and cherish.